Celebrating its 50th anniversary with a series of performances throughout the city, around the country and around the world, Dr. Barbara Ann Teer’s National Black Theatre (NBT) is partnering with the Schomburg Center for Research in Black Culture for “In Perpetual Flight: The Migration of the Black Body” at the Schomburg Center. The 6:30 p.m. event on Tuesday, April 16, is part of Carnegie Hall’s Migrations: The Making of America, a citywide festival featuring events about the journeys of people who have shaped and influenced American culture. The event will explore four distinct time periods that impacted Black bodies in America. NBT CEO Sade Lythcott and NBT Artistic Director Jonathan McCrory will present a dynamic new theatrical work examining the transatlantic and domestic slave trade and runaway journeys of the 1450s to the 1860s, that weaves together runaway slave narratives, slave auction notices, and “information wanted ads” describing lost family members sold during slavery. Award-winning sound designer and musician Justin Hicks has teamed up with Drama Desk-award winning actor and vocalist Kenita R. Miller to create a new song inspired by the wide range of Back-to-Africa movements from 1773 to the 1920s. CBS’ The Good Fight writer and playwright Keith Josef Adkins will write a theatrical monologue analyzing the origins and impact of the Great Migration from 1916 to the 1930s. 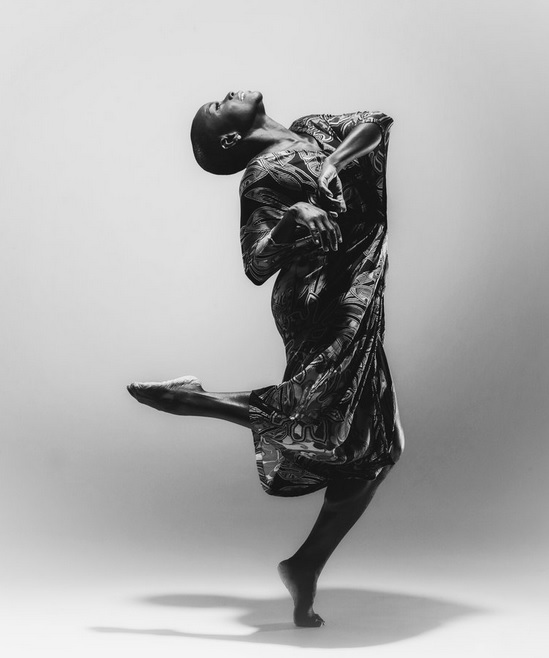 Alvin Ailey American Dance Theater dancer and choreographer Hope Boykin will create a new dance piece that delves into the Civil War era to examine the first northern migration of the 1840s to the 1890s. “The archive reverberates when activated by a pursuit of history and truth. We are excited to partner with NBT as we expand the narrative around themes of migration through the impact of chronic flight on Black bodies. ‘In Perpetual Flight’ offers an artistic interpretation of the Schomburg Center’s archive and enjoins the public to find power in movement and remembrance,” said Schomburg Center for Research in Black Culture Associate Director of Public Programs and Exhibitions Novella Ford. Carnegie Hall’s Migrations: The Making of America is a five-week festival of more than 100 events at more than 70 prestigious institutions celebrating the people who built American culture. Under the theme Liberation: A Journey Beyond Walls and coinciding with its redevelopment, NBT, the oldest continually run Black theater in New York City, is taking it to the streets for its 50th year with a robust season of programming and partnerships that transcends the walls of its building. “In Perpetual Flight” is one of a number of events that NBT has in store for New Yorkers this year. The Schomburg Center for Research in Black Culture is located at 515 Malcolm X Boulevard, New York, New York 10037. Doors open at 6 p.m. Admission to the event is free but RSVP is strongly suggested at schomburgcenter.eventbrite.com. For up-to-date information about NBT’s 50th anniversary season, visit www.nationalblacktheatre.org or follow NBT on Facebook (@NationalBlackTheatre) and Twitter/Instagram (@NatBlackTheatre). Follow the Schomburg Center on Facebook, Twitter and Instagram at @SchomburgCenter. Keith Josef Adkins is a playwright, screenwriter and artistic director. Some of his plays include The West End, The People Before the Park, Pitbulls and Safe House. His plays have been produced and/or developed at Cincinnati Playhouse in the Park, Repertory Theater of St. Louis, Rattlestick, Aurora Theater, National Black Theatre, Alliance Theater, Goodman Theater, Public Theater, MPAACT in Chicago, among others. Keith received Samuel French’s inaugural Award for Impact and Activism in the Theater Community. He’s a 2015 Helen Merrill Playwright Award recipient and a National Black Theatre’s Teer Spirit Awardee. Adkins is the artistic director of the New Black Fest, an organization dedicated to new and provocative playwriting and discussion from the African Diaspora. Keith currently writes for Netflix’s Outer Banks and Katori Hall’s new TV drama for Starz. He also wrote for Shondaland’s For The Peopleon ABC and CBS’ The Good Fight. Hope Boykin, a native of Durham, North Carolina, is a three-time recipient of the American Dance Festival’s Young Tuition Scholarship. She attended Howard University and, while in Washington, D.C., she performed with Lloyd Whitmore’s New World Dance Company. Boykin was a student and intern at the Ailey School. She was assistant to the late Talley Beatty and an original member of Complexions. Ms. Boykin was a member of Philadanco and received a New York Dance and Performance (Bessie) Award. She has choreographed three works for Alvin Ailey American Dance Theater: Acceptance In Surrender (2005), in collaboration with fellow Ailey company members Abdur-Rahim Jackson and Matthew Rushing; Go in Grace (2008, for the Company’s 50th anniversary season) with music by the award-winning singing group Sweet Honey in the Rock; and r-Evolution, Dream. (2016), inspired by the speeches and sermons of Dr. Martin Luther King, Jr., with original music by Ali Jackson. Justin Hicks is a multidisciplinary artist, collaborator and performer who uses music and sound to investigate themes of identity, labor, American dream aesthetics, and instinctual value systems. His work has been featured at Lincoln Center for the Performing Arts, Performance Space New York, The Public Theater, JACK, National Black Theatre, the Highline, MoMA, Dixon Place, festival Steirischer Herbst (Graz, Austria), Western Front Society (Vancouver, BC), MASS MoCA, The Whitney Museum of American Art, Nottingham Contemporary (Nottingham, UK), the Institute for Contemporary Art (Philadelphia) and The John F. Kennedy Center for Performing Arts, among others. Hicks has collaborated with notable visual artists, writers, musicians and theater makers including Abigail DeVille, Charlotte Brathwaite, Kaneza Schaal, Meshell Ndegeocello, Cauleen Smith, Helga Davis, Hilton Als, Chris Myers and Ayesha Jordan. Hicks was the Drama Desk Award-nominated composer for Mlima’s Tale by Lynn Nottage (The Public Theater 2018 director Jo Bonney). His practice with artist Steffani Jemison, Mikrokosmos, has deployed commissioned performances and exhibitions internationally. He was a member of Kara Walker’s 6-8 Months Space and holds a culinary diploma from ICE in New York City. Hicks was born in Cincinnati, Ohio, and is based in the Bronx, New York. Sade Lythcott, born and raised in New York City, is the daughter of Dr. Barbara Ann Teer, founder of the National Black Theatre and legendary champion of African-American culture in New York. Following her mother’s death in 2008, Sade was appointed CEO of the NBT, and is also co-chair of the Coalitions of Theaters of Color. A graduate of New York University with a B.A. in Art History, Lythcott lives in Harlem, New York. Prior to joining the NBT family, she performed with several Off- and Off-Off Broadway theater companies, including appearances as Gail in Ron Milner’s Urban Transition: Loose Blossom at the New Federal Theater directed by Woodie King, Jr., and as Dorothy Dandridge in Dorothy Dandridge: Before, After & Now directed by Dr. Barbara Ann Teer. In 2012, Lythcott wrote and produced the highly acclaimed musical A Time To Love, garnering three AUDELCO nominations and the Key to Harlem for her excellence in the arts. She is a recipient of the 2015 Rising Star Award from 651 ARTS and the Larry Leon Hamlin Legacy Award from Black Theatre Network. Jonathan McCrory is an Obie Award-winning, Harlem-based artist who has served as Artistic Director at Dr. Barbara Ann Teer’s National Black Theatre since 2012. He has directed numerous productions, including Dead and Breathing, HandsUp, Hope Speaks, Blacken The Bubble, Asking for More, Last Laugh and Enter Your Sleep. In 2013, he was awarded the Emerging Producer Award by the National Black Theatre Festival in Winston Salem, North Carolina, and the Torch Bearer Award by theatrical legend Woodie King Jr. He is a founding member of the collaborative producing organizations Harlem9, Black Theatre Commons, The Jubilee, Next Generation National Network and The Movement Theatre Company. McCrory sits on the National Advisory Committee for Howlround.com and was a member of the original cohort for ArtEquity. A Washington, DC native, McCrory attended the Duke Ellington School of the Arts and New York University’s TISCH School of the Arts. To learn more, please visit www.jonathanmccrory.com. Kenita R. Miller is a Drama Desk Award-winning actor and vocalist who has performed in such notable Broadway productions as The Color Purple and Xanadu, and was most recently seen as Mama Euralie in the Tony Award-winning, Grammy-nominated Once on This Island. Her regional work includes The Bubbly Black Girl Sheds Her Chameleon Skin at New York City Center, an AUDELCO AWARD-winning portrayal of Zora Neale Hurston in Urban Stages’ Langston in Harlem, Cincinnati Playhouse’s world premiere of The Revolutionists, and The Arden Theater Company’s production of Parade in the role of Minnie McKnight, which earned her a Barrymore Award. Film and television credits include The Unbreakable Kimmy Schmidt, The Blacklist, Odd Mom Out, Hostages, and Bruce Weber’s short film Liberty City Is like Paris to Me. Miller played Sarah in the BBC TV production of Ragtime in Concert. She is a graduate of AMDA (American Musical and Dramatic Academy, NYC), and studied at Eastman School of Music. Born in Rochester, New York, she is currently based in the Bronx.